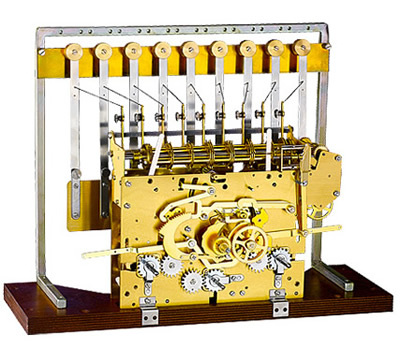 Unique Triple Chime cable movement with 9 brass tubes. Westminster, Whittington and St. Michael chimes playing on nine tubular bells. Click here to view the Hermle 61020-001171 Options and Prices page.